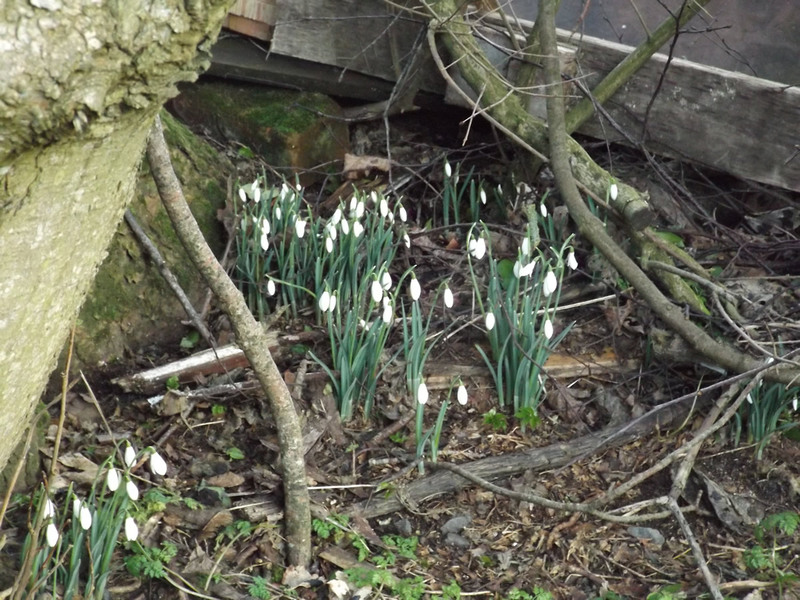 Could spring really be on the way? but having any removed is better than none. They are grand growing in the wet spots, but they do tend to ‘creep’ into other areas and before you know it they have over run you. 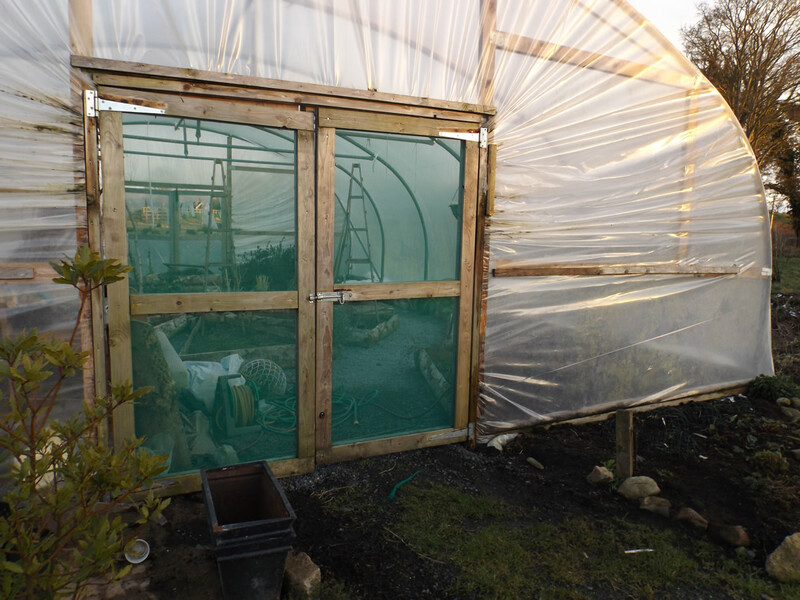 and we also blitzed the compost, which had gone cold – turning each bay over into the next one, adding a new bay, and a bit of a lid to stop the chickens hoking it all out onto the path. 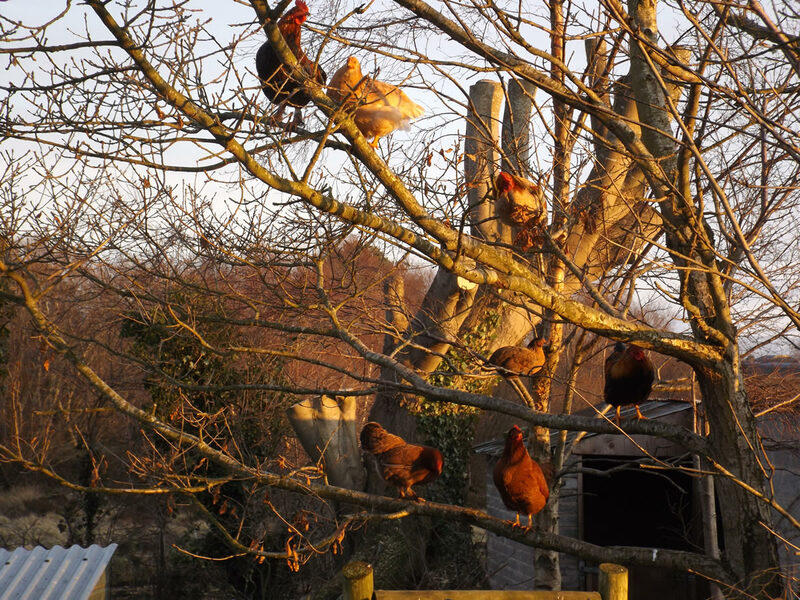 The chickens have also been missing the sun, and all celebrated by taking to the trees, where they sat and sang to us en masse. 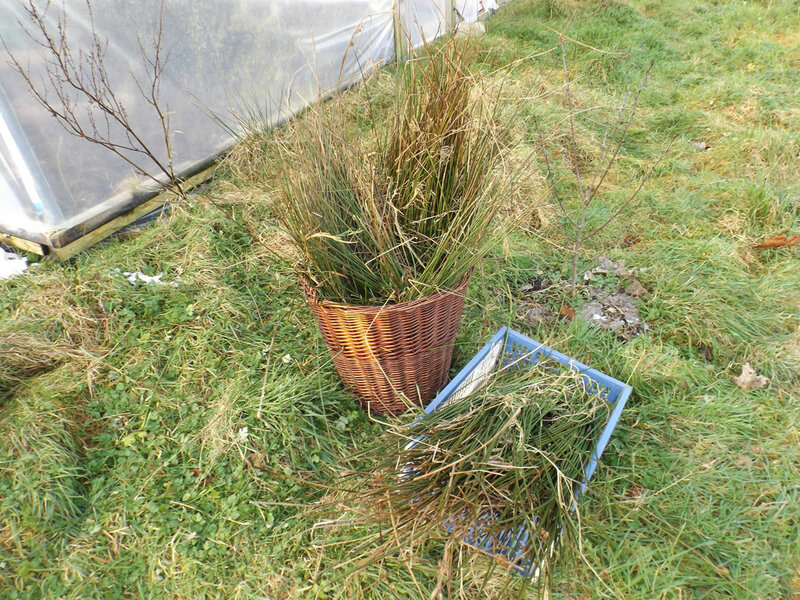 Do you top your rushes every year? 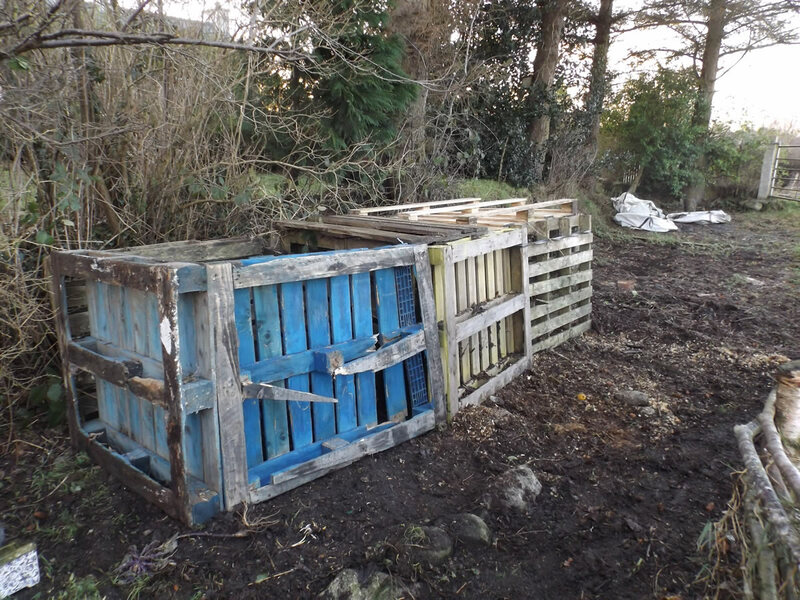 How often do you turn your compost bays? Hi Dave, I used to cut the rushes fanatically, but its bloody hard work,so now I let them get a little bigger, then cut them and put them in a rick to use as animal bedding. Once a year does them, and I just get the little creeping ones inbetween times to prevent them taking over the world. 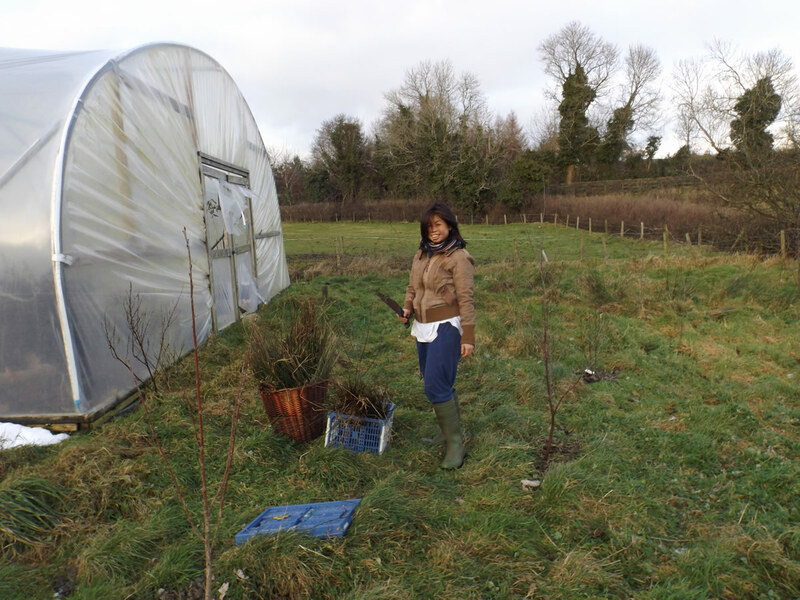 The compost is supposed to be turned once a month, but over the winter I neglected it somewhat, and its gone very cold. A bit of chicken manure and some pee should get it going again. Had to add the lids because the hens were dragging it all out all over the place..